Drain cleaning solutions throughout Orlando and Central Florida from your drain cleaning experts! Why wait? Fast local responsive service, with quick diagnosis, can restore your drains to good working order. WIth drain camera inspections to locate problems further into your plumbing and sewer lines, get the expert you need! Tree roots? No problem, rooter service will cut through the toughest clogs. When it comes to Orlando and Central Florida sewer cleaning we're ready to clean-out, unclog, unblock, and repair your sewer and drain pipes. From grease or food to tree roots- we'll find the blockage in your drains and get rid of it. 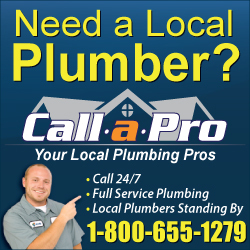 In addition to drain cleaning services, we are a full-service Orlando Plumbing company, ready to help solve all of your plumbing problems and plumbing emergencies. Lake County FL, Marion County FL, Orange County FL, Osceola County FL, Polk County FL, Seminole County FL, and Volusia County FL. As well as, Altamonte Springs FL, Andover Lakes FL, Apopka FL, Avalon Park FL, Azalea Park FL, Bay Hill FL, Bay Lake FL, Belle Isle FL, Bithlo FL, Buena Ventura Lakes FL, Casselberry FL, Celebration FL, Christmas FL, Chuluota FL, Clermont FL, Conway FL, Cypress Springs FL, Davenport FL, Debary FL, DeLand FL, Deltona FL, Doctor Phillips FL, Edgewood FL, Fairview Shores FL, Goldenrod FL, Gotha FL, Harmony FL, Heathrow FL, Holden Heights FL, Hunters Creek FL, Isleworth FL, Kissimmee FL, Lake Buena Vista FL, Lake Butler FL, Lake Hart FL, Lake Mary FL, Lake Nona FL, Lakeland FL, Lockhart FL, Longwood FL, Maitland FL, Meadow Woods FL, Oak Ridge FL, Ocoee FL, Orange City FL, Orlando FL, Orlo Vista FL, Oviedo FL, Paradise Heights FL, Pine Castle FL, Pine Hills FL, Plymouth FL, Poinciana FL, Reedy Creek FL, Rio Pinar FL, Sanford FL, Sky Lake FL, South Apopka FL, Southchase FL, St. Cloud FL, Taft FL, Tangelo Park FL, Tangerine FL, The Villages FL, Tildenville FL, Town of Eatonville FL, Town of Oakland FL, Town of Windermere FL, Union Park FL, University Park FL, Vineland FL, Vista Lakes FL, Waterford Lakes FL, Wedgefield FL, Williamsburg FL, Winter Garden FL, Winter Haven FL, Winter Park FL, Winter Springs FL, and Zellwood FL.